Electrophorus electricus E. electricus scaffolds (FASTA Format) 1.0 Gallant et al. 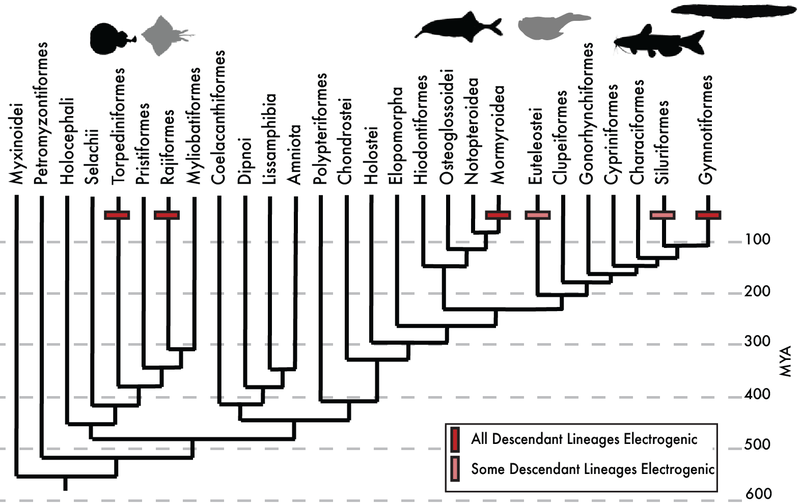 (2014) Genomic basis for the convergent evolution of electric organs. Science 344(6191) 1522-1525. Electrophorus electricus E. electricus scaffolds (FASTA Format) 2.0 Traeger et al. (2017) A tail of two voltages: Proteomic comparison of the three electric organs of the electric eel. Science Advances 3(7) e1700523. Electrophorus electricus E. electricus Gene Annotations (GFF3 Format) 1.0 Gallant et al. (2014) Genomic basis for the convergent evolution of electric organs. Science 344(6191) 1522-1525. © 2019 Jason Gallant. This site is sponsored by a National Science Foundation Grant to Michigan State University, with the goal of facilitating collaboration and data sharing among Electric Fish biologists worldwide. Please cite the appropriate source when using data from this website. This work is licensed under a Creative Commons Attribution-NonCommercial 4.0 International License. Powered by Jekyll & Minimal Mistakes.